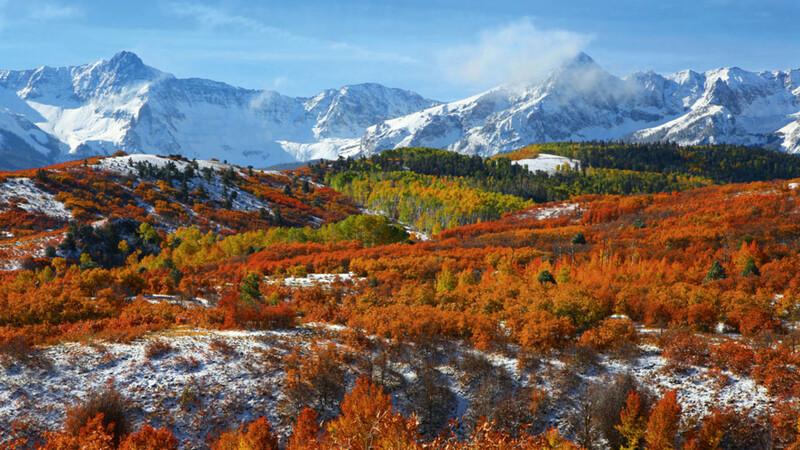 If you’re ever going to get a hangover, Colorado is the place to do it. The state – where “the beer flows like wine”, according to Dumb and Dumber’s Lloyd Christmas – seems to have a craft brewery on each of its cities’ picture-book street corners, but always within view are the Rocky Mountains, home to the cleanest air in the US and all sorts of endorphin-boosting pursuits, including skiing, horse riding and hiking. The state gleefully hits you in the face with all four seasons in one day – in Fort Collins, Loveland or Denver you can wake up in early spring with snow on the ground, yet be sitting in a T-shirt by lunchtime. Aside from all that beer – the best of which is made from organic hops and local mountain spring water – Colorado’s a place where health and happiness rule. 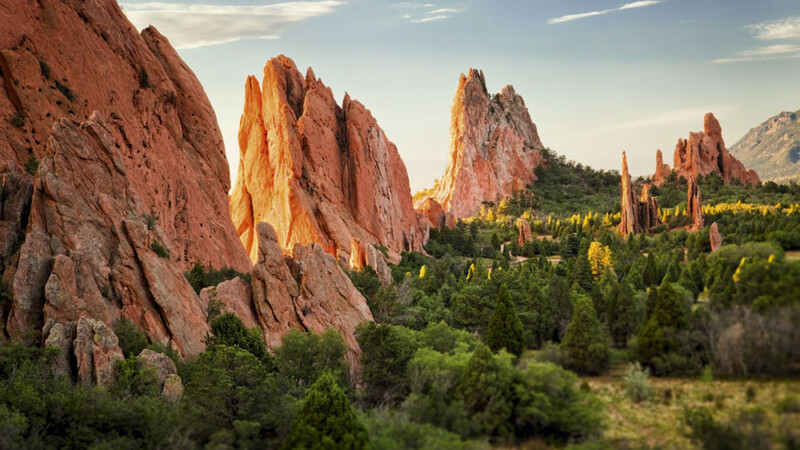 In fact, the Livability List of 100 Best Places To Live in the US stuffs six places from Colorado in its top 40, with pretty Boulder being the hottest ticket. Also in that list are Fort Collins and Loveland, where the populations have both grown by 32% since 2000. Located in the central north of the state, these cities aren’t just for living in – there’s never been a better time to spend a few days (or weeks) finding out what makes them so great. Beer-lovers and adventure-seekers, rejoice – here’s your essential guide to some guaranteed good times in northern Colorado. If you’re thinking it’s best to go now before the beer runs out, that’s unlikely – Colorado is one of the biggest brewing hubs on the planet, with more than 200 breweries. The state ranks top for beer brewing in the whole of the US, not least because it’s home to Coors, whose HQ in the town of Golden is the biggest brewing facility in the world. In 2014 Colorado went marijuana-legal to those aged over 21 years old, and tourism’s now booming on the back of the bong, with the ‘green dollar’ reportedly generating $2.39bn for the state in 2015 alone. 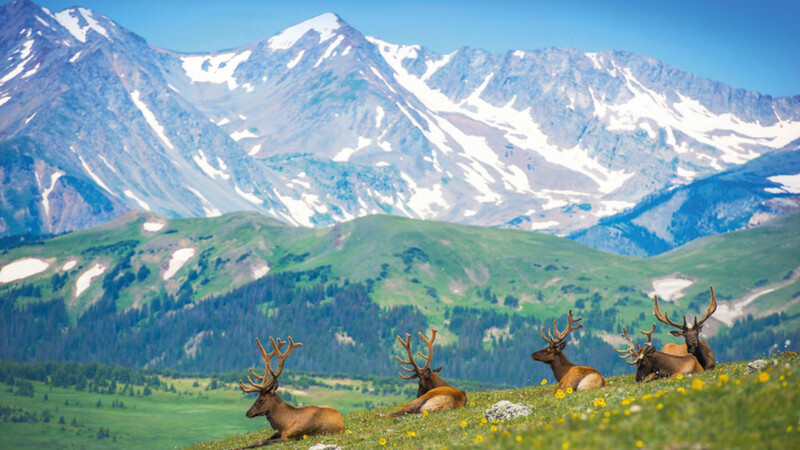 Coloradans have branched into all areas of the market, from high-end ‘cannabis concierges’ who will take you on a weed tour to ‘bud and breakfasts’ – low-end accommodation where you can wake up and roll up, often near the ski or hiking resorts. Cannabis concierges cater to every strain of weed smoker – from married couples who want to try it for the first time, to wealthy hippies kicking back on a break. They can get you NFL tickets and a joint, skiing with a joint, a five-star hotel with a joint… You get the picture. Unlike in Amsterdam, weed isn’t smoked on-site in licensed cafés in Colorado – it’s sold in out of town shops and consumed off-site. It is also frowned upon – you can get issued with a ticket – if you smoke it in the street, leaving consumption in a weird hinterland of being legal but not openly so. Even taking that into account, the marijuana business is the fastest-growing business sector in the entire state: research suggests that the industry could surpass $20bn annually by the year 2020. Alongside that there are many unique brewing hubs. Like any good alehouse, the doors are always open, with beer tours being a great way to see each town, learn local legends and get merry. New Belgium, based in Fort Collins, was created in 1991 by bike nut and brew-sipper Jeff Lebesch, an engineer who cycled around Belgium, tasted its famous beers and began unpicking their flavours back in his home state. The brewery is famous for its Fat Tire – a bright amber ale – Blue Paddle Czech Pilsner, and Ranger IPA. Even for non beer fans, the crisp suds fresh from the barrel would take some replicating anywhere else. 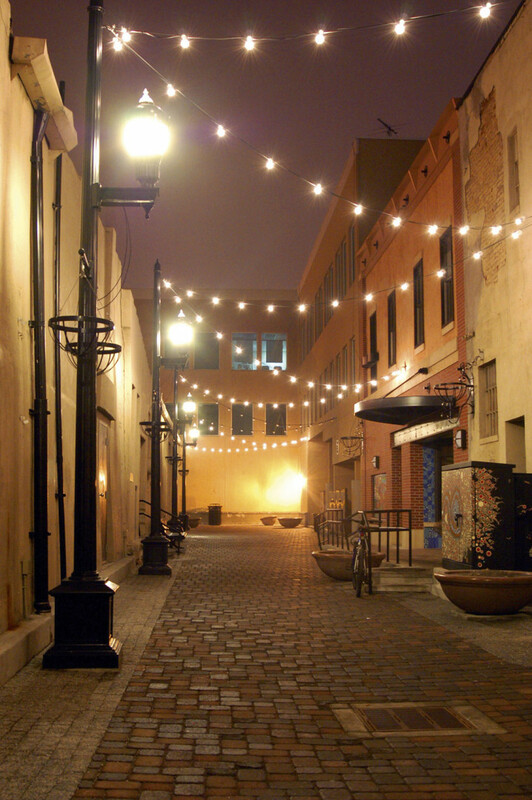 Alongside the brew tours, you get to trawl through Fort Collins’ old town, so classically American in its appearance that it was used by Disney as the basis for the ‘Main Street USA’ element of its global theme parks. Artisan cheeses, cupcakes and beauty products are all well worth picking up here. Half an hour away in nearby Loveland, you can also take a tour of their own Loveland Aleworks, visit the LoCo Artisan Coffee House, and take on the gut-busting ‘brew brunch’ at Grimm Brothers Brewery. The latter pairs five dishes with five different beers, including the tricky-to-find (outside Loveland, at least) Bleeding Heart porter. After all that you may want to do something to clear your senses, and there are few places on earth where that’s easier to do. Head to Fort Collins for an adrenaline-filled, calorie-burning fat bike ride in the Rocky Mountain National Park with Front Range Ride Guides (frontrangerideguides.com). They’ll collect you from your hotel and send you up a mountain trail in Peaceful Valley on a fat bike – for the uninitiated, that’s a mountain bike with wider tyres designed for riding through deep snow. 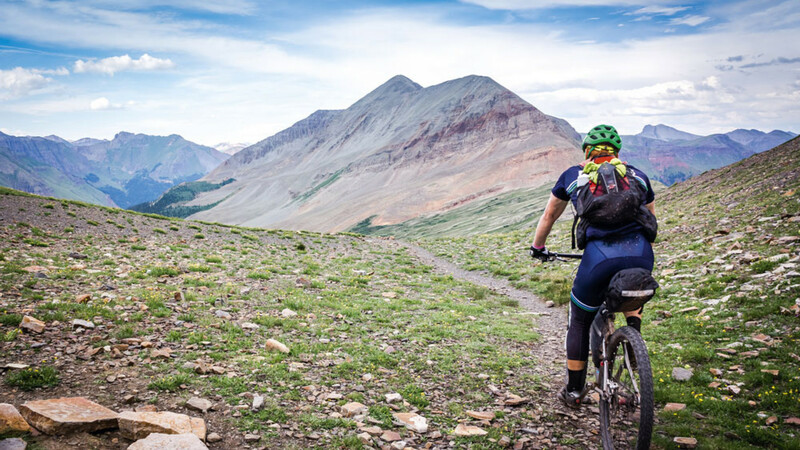 The Rocky Mountains boast elk, gray wolves, cougars, bears and all sorts of birdlife, but – while you may well see a preying eagle above – it’s almost impossible to see any of the blockbuster names because they’re so secretive, especially when you’re chugging along on a bike. It’s hard work – on the lungs as much as anything, thanks to the altitude – but there are few better ways to see the Rockies up close, and certainly none better for putting a smile on your face as you spin recklessly down the hill. For a city detour, take an hour’s drive and cruise along any of nearby Denver’s many bike pathways, or stay in Fort Collins and use its Bike Library (fcbikelibrary.org) for ambling around town. 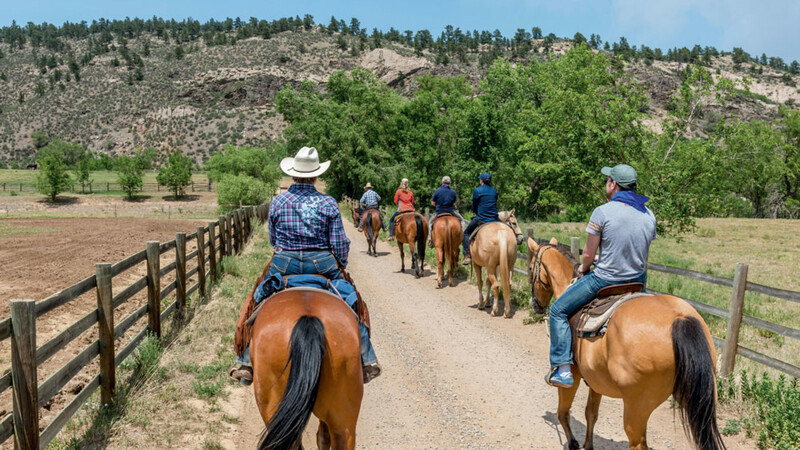 In a different saddle, be sure to take a horseback ride in Loveland. At Sylvan Dale (sylvandale.com), a fully functioning cowboy ranch with campfire sing-a-longs and a cook-out on the grill, you can stay overnight or simply take up a day trip in the (horse) saddle in the foothills of the Rockies. Though only half an hour away from where I’d early been fat biking, there’s no snow this time, but you do get to pretend you’re Clint Eastwood, ambling past the prairie dogs and elk on your own trusty steed. British Airways offers flights from London Heathrow to Denver International from £507 return. See britishairways.com for details.